GULP Portion is excited to be working along side Abbey JESSOP! Abbey Jessop is a leading NZ Fitness Personality! In Abbey's short 21 years she has achieved numerous successes including winning the "Miss Junior Bikini New Zealand Title". Represented New Zealand Internationally & placed top 10 at the Arnold Classic Australia, Business owner of abbeyjessop.com - providing online personal training & nutrition services. Represented New Zealand for Puma for a wellness retreat in Australia, featured in the Daily Mail, Remix Magazine, Rebel Sports website & mailer, Co-hosted the NZ Fitness & Health Expo's fitness model search, celebrity host for the Bachelor NZ cast around the Abel Tasman & much more! Abbey has also created an empowering following base with over 60 thousand people following abbey's journey! Check out abbey's social handles below! If you need a trainer or a nutritional plan, check out the above ASAP & then let GULP Portion help you do the rest! 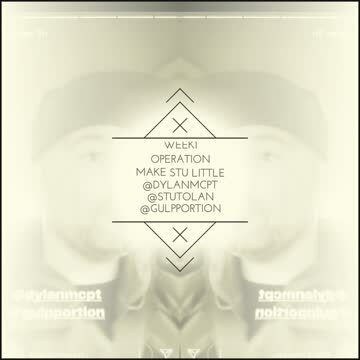 Follow @stutolan on Instagram on his journey, "Make STU Little"!